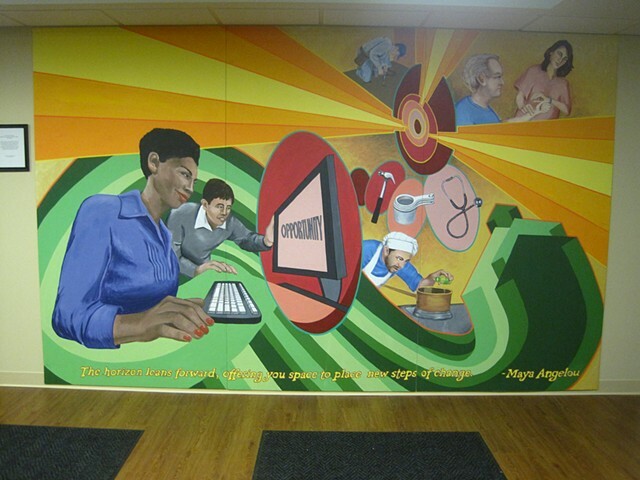 This mural focuses on the theme of bettering oneself through education and expanding one’s horizons. 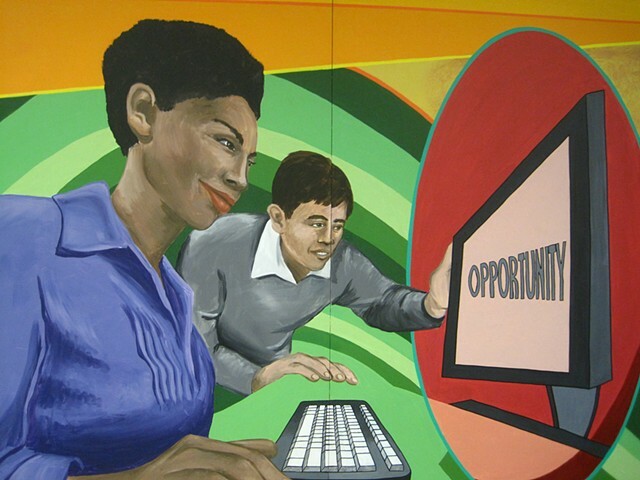 It centers on a scene of two people working at a computer, and suggests they are seeking knowledge. 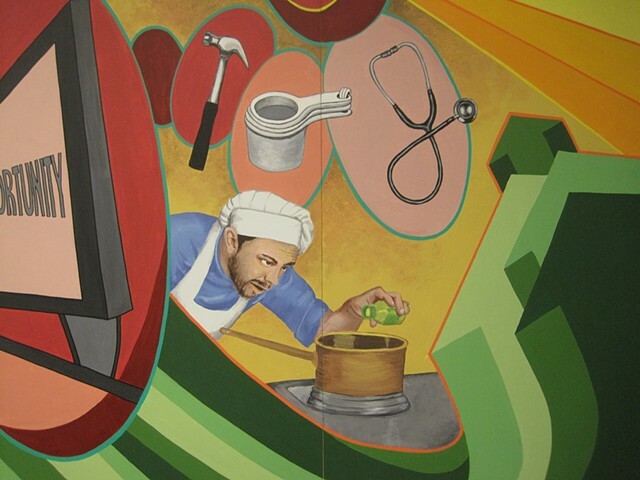 The scenes that follow the direction of the green arrows indicate possible vocations and career opportunities that the couple is researching: nursing and the medical profession, carpentry and construction, and the culinary arts. The quote by Maya Angelou expresses the positive possibilities that change can present us in our lives.